Thinking about heading to the boardwalk in Ocean City, NJ? Make sure you stop in to our T-Shirt Factory and browse our numerous designs, have it printed right then and there! Does your business need some new gear for all your employees? Did your sports team just win a championship? Thinking about hosting an event and need some custom stuff printed out? 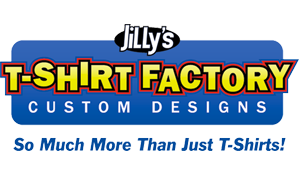 Jilly’s Custom Printed Apparel can handle your needs big or small. Welcome to the ultimate bargain hunt! 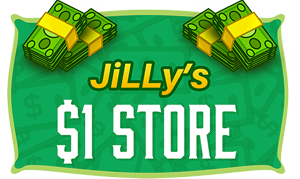 Located at the center of Boardwalk at the entrance of Playland’s Castaway Cove, JiLLy’s $1 Store is the only shop in Ocean City where every item is literally $1. Browse an incredible selection of candy, soda, snacks, jewelry, accessories and beach gear. You’ll also find batteries, souvenirs and household products you may need while vacationing.